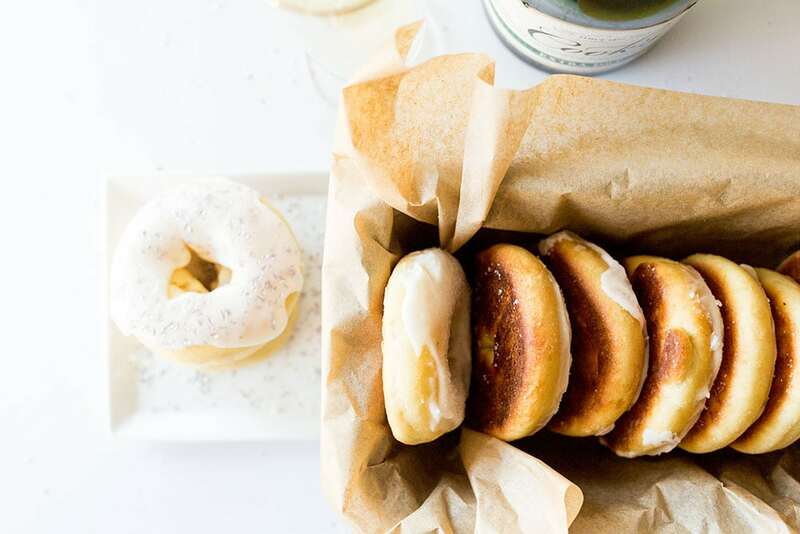 Taste: A hint of champagne and a dose of vanilla, these doughnuts are everything you could want for New Year’s! Texture: The yeast dough makes these ultra light and fluffy without any frying necessary. Ease: Definitely easier and cleaner than deep-frying. The dough make take longer to come together and rise since it’s so rich, but don’t let that discourage you! It’s super satisfying to work with. Pros: Beautiful and festive treat, perfect for a New Year’s Eve party or even a New Years Brunch. Would I make this again? Definitely. Another year is about to be behind us. 2017 was unlike any year I’ve experienced, both personally and professionally. But also as a country, this year has been difficult to say the least. It seems like the Internet is no longer the happy and light-hearted place I knew it to be. With the current state of politics, natural disasters, and divisiveness as a whole, it often upsets me and stresses me out to log online. I’m not sure if anyone else has felt the same way, but it’s actually motivated me to continue doing what I do. To continue hosting a corner of the Internet that’s fun, light, and sweet. Because even when things seem bleak or devastating (hurricanes, floods, and fires are absolutely heartbreaking to see), there’s always something to be grateful for. So I’d like to take a minute and express just how grateful I am for all of you. This year both of my parents faced major health issues. I’m so thankful that they’re both doing better now. And although some of these personal crises required me to take time away from Handle the Heat (my full time business) I’m so incredibly grateful that I was able to take that time away without major financial strain. That’s because day after day YOU were there browsing this site, making my recipes, commenting, messaging, and being a part of this amazing community that inspires me daily. This dream job of mine wouldn’t be possible without you. But this year I’ve realized it’s so much more than a job or a business. Your support allowed me to support my loved ones when they needed me most. That’s a blessing I never would have imagined possible when I started this blog for fun in 2009. So thank you thank you thank you! What better way to celebrate this community and the end of 2017 than with doughnuts?! 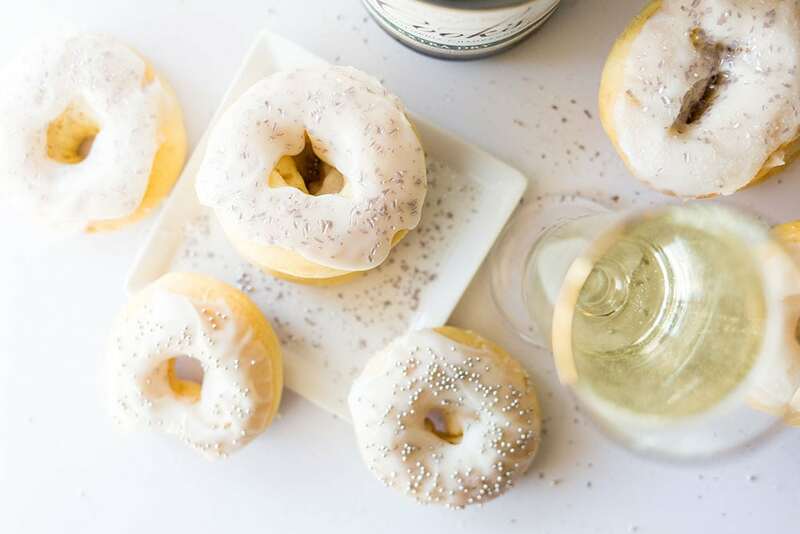 Champagne doughnuts to be precise. These doughnuts are so fun and festive. I got a little crazy buying sprinkles and edible glitter at the local cake decorating supply shop. Just look how pretty and sparkly they are! All while being light, fluffy, and perfectly delicious. 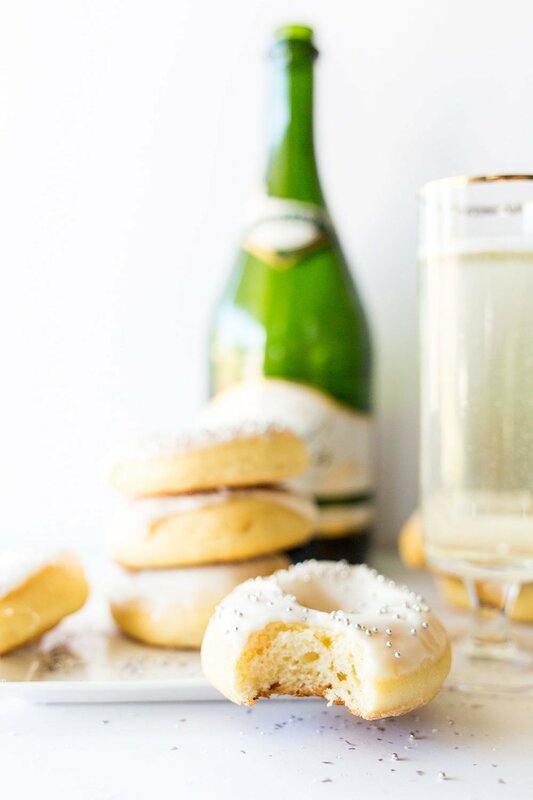 If you make these champagne doughnuts, be sure to snap a photo and tag me on Instagram using #handletheheat. Since this dough is so rich with butter, cream, and eggs, it will take a little longer to knead and to rise. Using instant yeast helps to speed things up. Heat the champagne in a small saucepan or in the microwave until warm, about 110°F. In the bowl of an electric mixer fitted with the dough hook, combine the flour, sugar, and yeast. Add the champagne and egg yolks and stir until combined. Add the butter and cream and knead for 6 to 8 minutes, or until a smooth sticky dough forms and pulls away from the sides of the bowl. Scrape the dough into a lightly greased bowl. Cover and let rise until doubled in size, about 1 to 1 ½ hours. Roll the dough out on a floured surface until it’s just over a ½-inch in thickness. Cut out 12 doughnuts from the dough with a flour dusted doughnut cutter, rerolling the dough scraps as needed. Place on a large baking sheet lined with parchment paper, spacing at least a few inches apart. Allow to rise until puffy, about 30 to 45 minutes. Meanwhile, preheat the oven to 350°F. 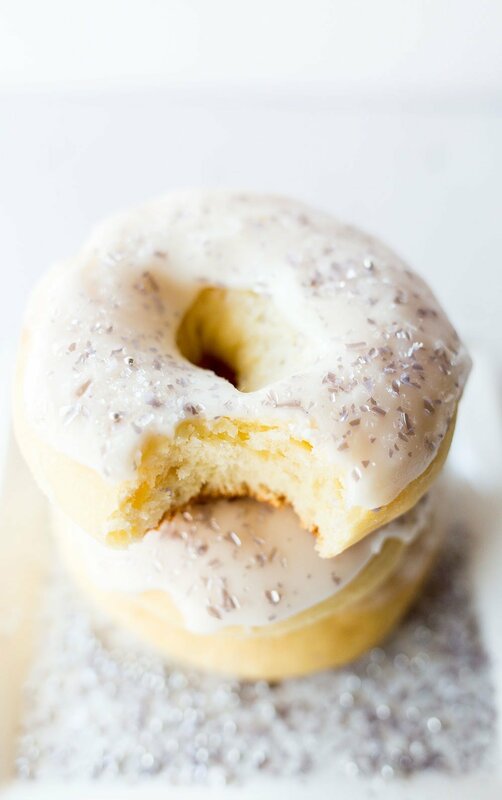 Bake the doughnuts for about 12 to 15 minutes, or until lightly golden and puffed. In a medium deep bowl combine the sugar, salt, milk, and vanilla. Add the champagne until a thick but pourable glaze forms. Dip the doughnuts in the glaze completely, then let stand until set, about 30 minutes. Thank you for what you do, Tessa. 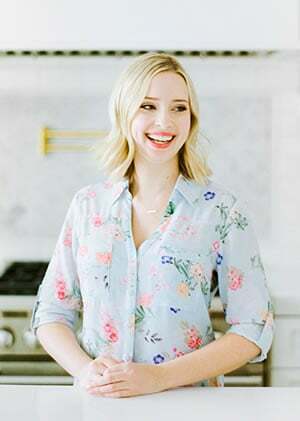 You make the world a better place and I wish everyone would spread a little joy like you do everyday with your recipes. I feel the same way you do about our current world, but my solution is to check your website and see your bright, smiling face. Thanks for all of your hard work. compliments of the season to you and your family , wishing you all the best for the new year. TESSA 2018 IS YOUR YEAR WITH SOME BLESSINGS FROM GOD FOR ALL THE GOOD YOU DO. KEEP STRIKING IT GIRL GOD IS WATCHING JUST WAITING TO SHOWER YOU WITH ALL HIS BLESSING.